Whether they’re man-made or all natural, lakes are generally among the most popular places for outdoor recreation. Lakes offer everything from swimming, fishing, kayaking/canoeing, and sailing to camping, hiking, and watching birds and other forms of wildlife. The largest lakes in the world– including the vast Great Lakes of North America– look more like oceans, with water stretching as far as the eyes can see. But even the smallest lakes have their own appeal. Green Global Travel co-founder Bret Love has written about his childhood spending summers on Lake Hartwell, Georgia numerous times. Even now, he and his wife Mary spend 3-4 days a week at Lake Allatoona when they’re not traveling, enjoying relaxing “staycations” close to home. The truth is that lakes– landlocked bodies of water that are unattached to oceans, but are instead fed and drained by their own rivers and streams– come in a diverse array of forms. Some lakes have been formed naturally by glaciers, tectonic shifts, volcanic craters, and landslides. Others have been man-made by dams for hydro-electric power, recreational use, and agricultural irrigation. Most of us commonly associate lakes with fresh water, but many of the world’s most famous lakes are not. They can occur almost anywhere: The lowest lake on the planet is the Dead Sea of Israel and Jordan, which is located some 1371 feet below sea level. The highest lake—Ojos del Salado, which is located on the Andes on the border between Argentina and Chile—is over 20,000 feet above sea level. Canada and Finland are considered to be the countries with the most lakes. Finland recognizes over 180,000 lakes located above 5,400 square feet, while Canada claims some 31,000 lakes of over 32,000 square feet in size. That’s a lot of lakes! 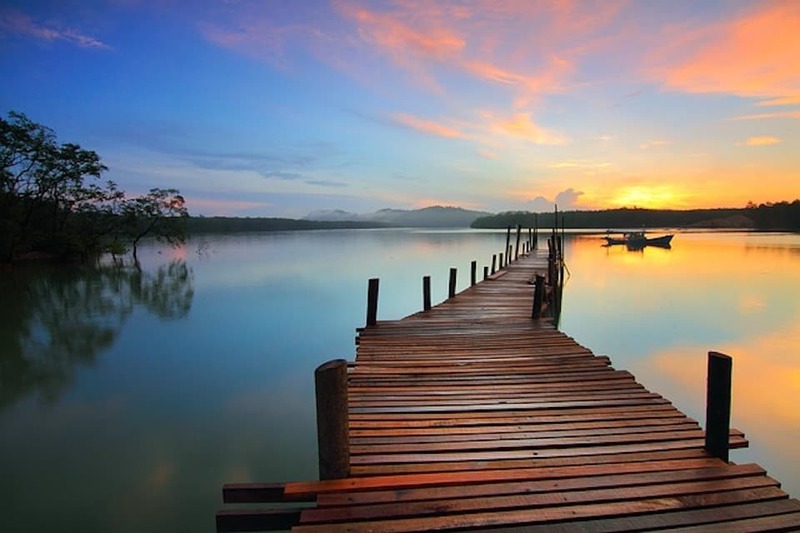 Lakes are virtually everywhere you travel, in nearly every country and on every continent. 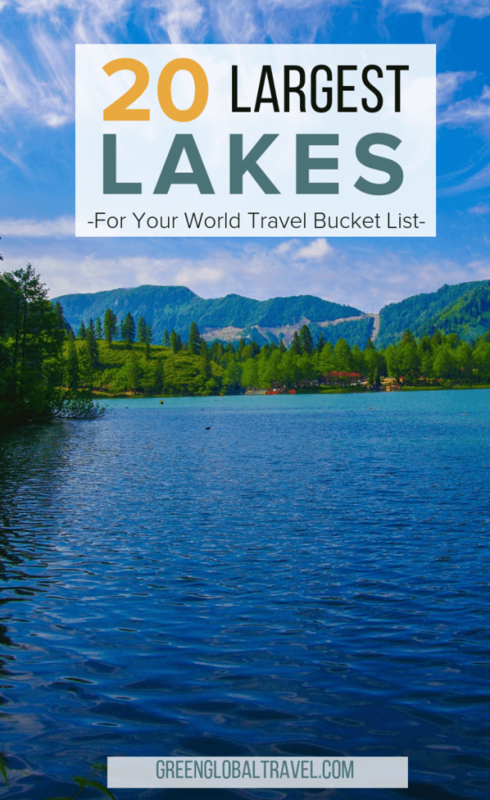 So here’s a look at the some of the biggest lakes in the world, filled with facts and detailed information in case you’re a water-lover looking for inspiration on where to take your next trip. Typically considered the second largest freshwater lake in the world (by surface area), Lake Victoria is undisputedly the largest lake in Africa in terms of size. It measures over 26,000 square miles, straddling both sides of the equator, which also gives it the sole title of the world’s biggest tropical lake. Lake Victoria is primarily split between Uganda and Tanzania, with a small percentage of it (a mere 1,600 square miles) in Kenya. It’s relatively shallow, with a maximum depth of just over 275 feet. So while it’s Africa’s biggest lake by size, it’s not the biggest in terms of sheer volume. Lake Victoria has thousands of inflowing streams from Kenya, its most important water source. But it’s most recognized for its outflowing water, which feeds into the Nile River. The Nile exits the lake in Uganda, making Lake Victoria the principal source for the longest stretch of the world’s longest river. 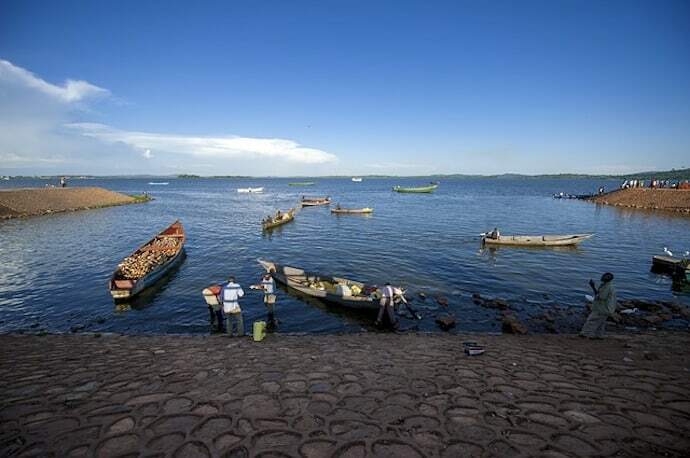 Like most bodies of water these days, Lake Victoria faces some environmental issues. The introduction of Nile perch into the lake in the 1950s-60s has all but destroyed the lake’s native ecosystem, with only a handful of more than 350 endemic species remaining. Sewage and industrial runoff have polluted the lake and caused a massive invasion of water hyacinth. Yet fisheries are still overfishing its waters. Known as the longest freshwater lake in the world, Lake Tanganyika is Africa’s second largest lake by surface area, with about 12,700 square miles to behold. At nearly 5,000 feet deep, it also the world’s second deepest lake. From end to end, the lake stretches 410 miles, which is about 20 miles more than the distance between Washington D.C. and Boston. For most of its long, narrow stretch, Lake Tanganyika acts as a boundary between the Democratic Republic of Conga and Tanzania. It also forms a border between the DRC and Burundi, as well as between Tanzania and Zambia. It’s located in the southern reaches of the Western Rift Valley, where it is fed by several rivers. These include the Kalambo, which has one of the world’s bigest waterfalls, Kalambo Falls (over 700 feet high). The Lukuga River is the lake’s outlet. In addition to acting as a border between countries, Lake Tanganyika also divides floral regions of Africa. It’s also home to plenty of hippos and crocodiles, as well as a variety of beautiful birds. 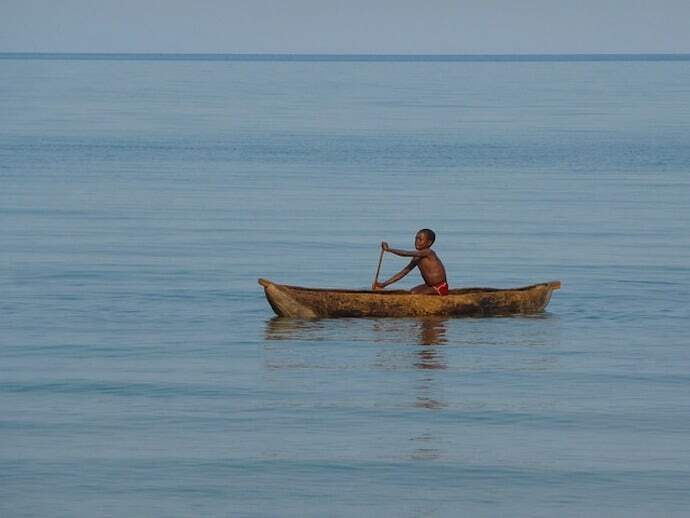 Also recognized as Lake Nyasa, Lake Malawi is Africa’s third largest lake, measuring somewhere between 350 and 360 miles long and up to 47 miles wide. It covers about 11,400 square miles and ranks as the ninth largest in the world in terms of surface area. It’s also the second deepest lake in Africa, reaching depths of over 2,300 feet, which makes it the fifth largest lake in the world by volume. Lake Malawi has three distinct and separate layers of water, resulting from different densities caused by different temperatures at different depths. This makes it a meromictic lake. Most lakes are holomictic, with surface and deep water mixing at least once a year. But that doesn’t happen in Lake Malawi. At the southern end of the lake you’ll find Lake Malawi National Park, a UNESCO World Heritage Site. The lake also has two inhabited islands. It’s a huge draw for tourists interested in snorkeling, scuba diving, sailing, skiing, and various other water-based activities. Additionally, Lake Malawi has a tremendous wealth of wildlife. The lake is home to hippos and Nile crocs, while monkeys, baboons, and antelopes live on its shores. It also has more fish than any other lake, with around 1000 species of cichlids alone. In terms of the study of evolution, its importance has been compared to the Galapagos Islands. Formed by the Zambezi River, Lake Kariba is the largest man-made lake in the world by volume. It covers over 2,000 square miles and reaches over 300 feet deep. 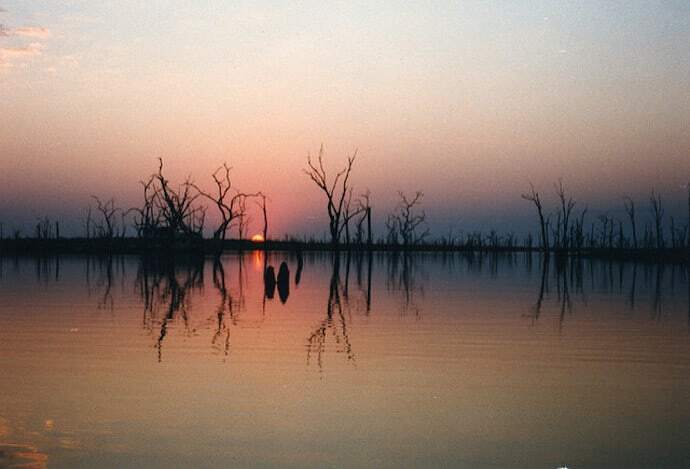 The lake was formed by the Kariba Dam, which filled the Kariiba Gorge in the early 1960s. The lake is almost 140 miles long and located between Zambia and Zimbabwe. Like other African lakes, Lake Kariba is replete with wildlife despite being man-made. Many commercial fish have been introduced to it, and Nile crocodiles and hippos have found their ways onto the scene. Lions, buffalo, elephants and rhinos are all known to drink from its waters and roam along its shores. Consequently, the section of the lake located in Zimbabwe has been deemed a recreational park, overseen by the Zimbabwe Park & Wildlife Management Authority. This park service has evolved over time into one of the world’s leading wildlife management institutes. Just for the sake of mentioning it, the Volta Reservoir in Ghana is actually the biggest man-made lake in the world in terms of surface area. It encompasses over 3,200 square miles, but doesn’t account for quite as much volume as Kariba. Lake Vostok used to be on the surface, but it’s now buried by more than two miles of ice, making it one of the largest subglacial lakes on the planet. According to biologists, it’s been covered for about 15 million years now. Nevertheless, it qualifies as the largest lake in Antarctica. Technically, Lake Vostok ranks among the biggest lakes in the world. It’s over 140 miles long, over 30 miles wide, and over 2,500 feet deep. Despite its vastness, it wasn’t detected until the 1960s, when a Russian pilot noticed a large, smooth patch of ice over it. Radar ultimately confirmed the suspicion in the mid-1990s. Now, due to its size, it’s considered one of the easier subglacial lakes (of which there are over 400 in Antarctica) to detect. Researchers have mapped out the lake using seismic techniques and advanced radar. The age of the lake’s water is still undetermined, but it is known that its current water supply comes from meltwater. Despite the water temperature being below freezing, the lake doesn’t turn to ice because of the pressure of the ice atop it. Amazingly, scientists have discovered living organisms still surviving in the lake. Obviously, Lake Vostok would only make the “bucket list” of a very specific and peculiar type of traveler. But it’s simply too big a curiosity to leave it off of this list. The world’s largest lake is called the Caspian Sea. This saltwater lake has a surface area of over 143,000 miles and reaches depths over 3,300 feet. In short, it dwarfs all other lakes on the planet. It’s located 72 feet below sea level on the border dividing Europe and Asia, with over 4,200 miles of coastline. The lake is endorheic, meaning that it has no outlet, which allows the rain (or lack thereof) to adjust its water level significantly. Its primary source of water is the Volga River, which is Europe’s longest, and it is also fed by the Ural River and the Kura River. The freshwater from the rivers make the northern waters considerably less saline than the southern tides. The Caspian is a remnant of an ancient sea that was part of an extinct ocean, the Tethys Ocean, that was around 50 to 60 million years ago. It once connected the Atlantic and Pacific. But when continental plates shifted, it lost connection with other oceans and gradually began to evaporate. The Caspian Sea, the Black Sea, and the Aral Sea now remain, and maintain the former ocean’s salinity. Technically, the lake has three regions. The northern area (bordered by Kazakhstan and Russia) is surrounded by hot, humid coastal plains, with shallow water prone to freezing in winter. The Middle Caspian (bordered by the aforementioned countries, plus Azerbaijan and Turkmenistan) begins getting deeper, and has hilly shorelines. The Southern Caspian (bordered by Azerbaijan, Turkmenistan, and Iran) dives deep, with coastal cliffs perfectly evolved for wealthy residents’ homes. Lake Baikal of Russia is the largest freshwater lake in the world by volume, and it isn’t even a contest. The lake holds over 5,500 cubic miles of water, with the next biggest (Africa’s Tanganyika) holding about 20% less. It is also the world’s deepest freshwater lake, reaching down about a mile into the earth. Around one-fifth of the world’s fresh water is contained in Lake Baikal, which is also the oldest freshwater lake at 20-25 million years. To this day it remains clear and pure, fed by 300-plus streams and rivers, which all eventually flow out in the form of the Angara River. The water of the enormous lake creates microclimates around its shores. That makes it home to many unique species, such as freshwater seals and vibrant sponges. In fact, more than 50% of the species that live in Lake Baikal are endemic to its waters. The Baikal epischura, a microscopic crustacean, is the most copious of the lake’s animals. Despite being located in Eastern Siberia, the lake is also a renowned vacation spot. The Great Baikal Trail is a series of paths winding their way around the lake. There are unique coastal villages, hot springs, and Buddhist (that’s right, this is Russia’s center of Buddhism) temples. There is even a railway there that is part of the famed Trans-Siberian Express run! Lake Urmia was once the second largest lake in the Middle East (after the Caspian Sea). For that reason alone, it gets an honorable mention here. Unfortunately, its former size– about 2,000 square miles– has been reduced by nearly 80% over the last three decades. 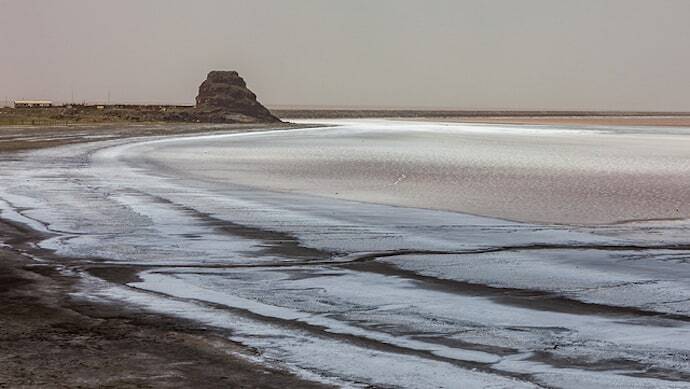 Once a haven for birds, Lake Urmia is a UNESCO-protected Biosphere Reserve. However, its copious population of water fowl— including flamingos, pelicans, ducks, and egrets— has largely disappeared. Unfortunately, the salinity of the lake has increased dramatically as its size has diminished. The “turquoise solitaire of Azerbaijan,” which used to be a huge draw for tourists, has largely lost that popularity as well. The waters have turned from blue to red due to algae blooms. The picturesque piers now lead out to nowhere. The lake’s scenic shores have turned into salt flats, its refreshingly cool breezes into salty dust storms. The lake is now several times more saline than the ocean. But still Lake Urmia deserves a place on this list. It was once a beautiful natural wonder, which has suffered at the mercilessness effect of humanity on nature. Spanning over 16,500 square miles, Issyk-Kul Lake is a huge presence in Central Asia, in Kyrgyztan’s mountainous region of Tien-Shan. In fact, it’s the second largest high-altitude lake in the world, measuring over 100 miles long, nearly 40 miles across, and some 2,000-plus feet deep. It’s also the tenth biggest lake in the world by volume, and the second largest saltwater lake. 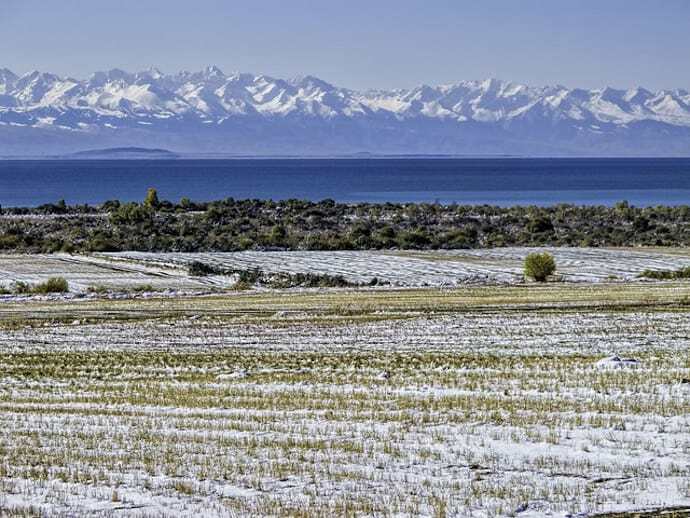 Consequently, Issyk-Kul Lake has also been deemed a UNESCO Biosphere Reserve. Its size and location make it home to many endemic species of flora and fauna, including over 300 types of animals. Another interesting aspect of the lake is that, despite being a high-altitude lake in the middle of a typically cold continent, its waters never freeze. This is due to a bit of salinity, the extent of its depth, and warm water sources that prevent it from icing over even in the winter. Issyk-Kul is fed by over 100 rivers and streams, as well as many hot springs, and has no outlet. Issyk-Kul Lake was a huge travel destination during the glory days of the Soviet era, but tourism has suffered since the USSR fell. It is, however, being revitalized as a vacation spot once again. 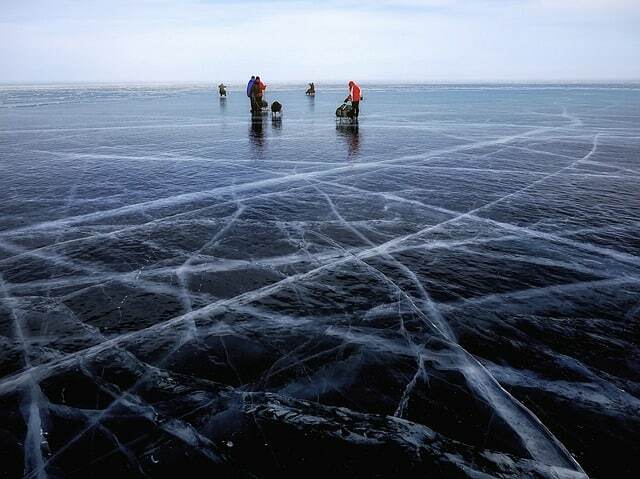 Qinghai Lake encompasses just under 1,800 square miles, making it China’s largest (saltwater) lake. It never reaches 100 feet deep, but it’s over 10,000 feet above sea level, located on the Tibetan plateau. Despite being fed by over 20 different water sources, the lake is an endorheic basin, with no outlet other than evaporation for the water that enters it. This has made its size fluctuate noticeably over the years, but it has been increasing in size for over a decade now. The lake isn’t particularly populated with aquatic life. Only five species of fish swim in its waters, but it does have an abundance of naked carp (an edible fish). Lake Qinghai had more species when it shared the waters of the Yellow River, but they have been separated for many millennia now. But, above all else, the lake is especially well-regarded for being sparsely populated with people and stuffed with serenity and solitude. Unsurprisingly, the largest lake in Australia– a particularly dry continent with salinity issues due to the evaporation in its deserts– is a saltwater lake. It’s actually composed of two lakes, Lake Eyre North and Lake Eyre South, which are joined by the Goyder Channel. Together, they are about 90 miles long and nearly 50 miles wide. Lake Eyre, in addition to being the largest lake in Australia, is also the lowest point on the mainland, sinking almost 50 feet below sea level. It actually floods every few years, rising about five feet, and fills to about 13 feet every decade. The lake only reaches its full capacity around four times every century. The lake is reached via a road trip along the rugged Oodnadatta Track, a famous off-road route through the outback. From there, the lake can be accessed in three different areas. The lake is also part of the Lake Eyre Kati Thanda National Park. Russia is home to both the longest river in Europe, the Volga, and the largest lake, Lake Ladoga. 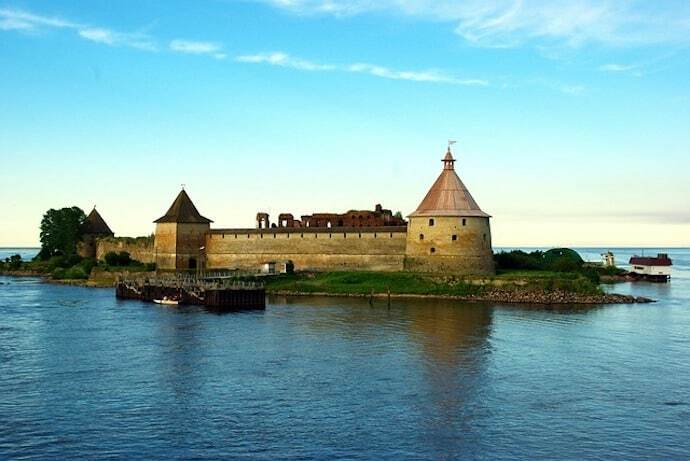 Lake Ladoga is located near St. Petersburg. In addition to being the largest lake in Europe, it is the 14th largest in the world in terms of surface area (over 6,700 square miles), and the 15th largest by volume (over 200 cubic miles). Lagoda is a freshwater lake with more than 650 islands, including the culturally rich Valaam Archipelago. It was once part of the Baltic Lake Ice, a freshwater transition into the Baltic Sea. 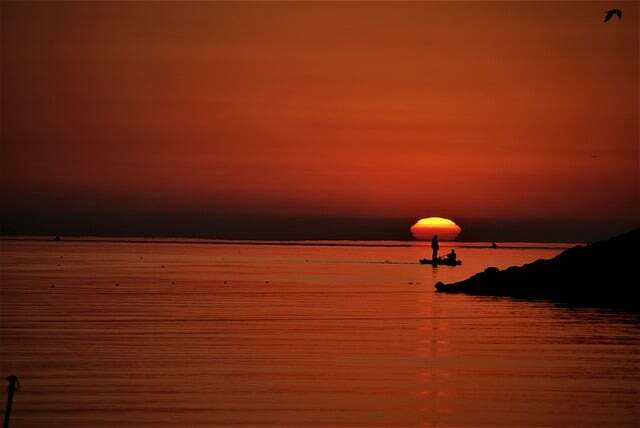 The lake and the sea separated about 10,000 years ago, but were connected by a small straight until the Middle Ages, when the parting finally reached its sweet sorrow. Lake Lagoda contains just under 50 species of fish. Half of those are of significant commercial value, and 11 of them are fished for mass commercial use. Unfortunately, the lake has been overfished, so now it is heavily restricted in order to protect its ecosystem. Sweden has nearly 100,000 lakes, and the biggest one of all is Lake Vänern (which is also considered the largest lake in the European Union). It encompasses over 2,180 square miles, making it the third largest lake in Europe, after Russia’s Lake Ladoga and Lake Onega. Lake Vänern is a fishy sort of place. It has all of the common species of freshwater fish, including trout, zander, and several varieties of whitefish. The lake is also home to a unique type of salmon– appropriately named the Vänern salmon– which never venues out to the sea. These fish undergo their entire life cycle in the lake, as they have done for nearly 10,000 years. Another claim to fame for Lake Vänern is that many people believe it features in the literary masterpiece, Beowulf. The Battle on the Ice of Lake Vänern is recounted in ancient Norse sagas, and appears in Beowulf as the site where Eadgils slays Onela to become the King of Sweden. 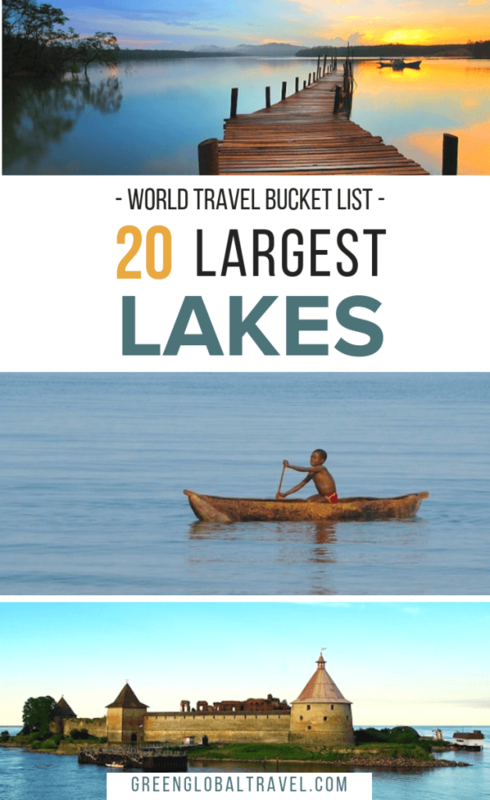 The smallest of the lakes on this list is actually considered the largest lake in Central Europe. It is located in France and Switzerland, and occupies an area of about 225 square miles. It’s also over 1,000 feet deep in parts. It is by far the biggest lake in Switzerland and the Alps. Lake Geneva has three parts– the Upper Lake (Haut Lac), Large Lake (Grand Lac), and Small Lake (Petit Lac). The Upper Lake contains the Rhône estuary. The aptly named Large Lake is the biggest part, both deepest and widest. And the Small Lake is a narrow strip at the southwest end, ultimately leading to its exit at Geneva. 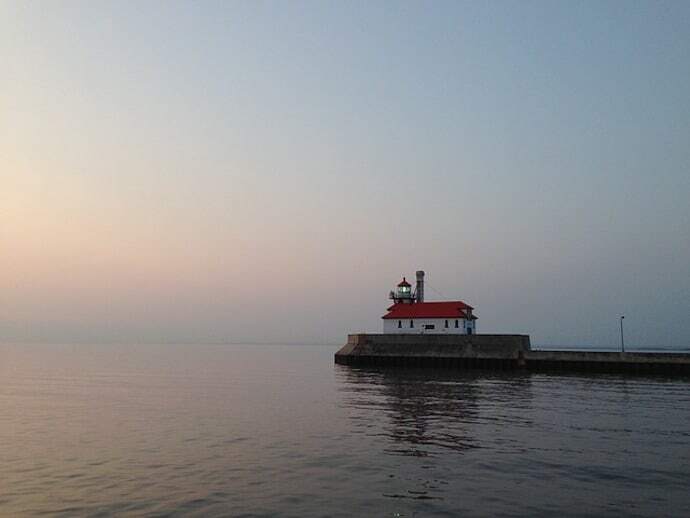 The lake has been explored by submarines, and it has a fleet of eight paddleboat steamers that regularly cruise its waters (and have for over a century). Lake Geneva is also used for shipping between the various villages and settlements along its shores. Like much of the Swiss and French Alps, Lake Geneva is a world-renowned travel destination. It has been beloved for centuries for its idyllic natural vistas juxtaposed with the beautiful old-world architecture of Europe, including ancient castles. There’s a plethora of hotels around the lake and amazing continental cuisine to sample, as well as water sports, winter sports, beaches, and hot-air balloon rides. Arguably the largest freshwater lake in the world by area, Lake Superior is one of the five Great Lakes sprawled around the US-Canada border. It encompasses 31,700 square miles, making it bigger than the states of Vermont, New Hampshire, and Massachusetts combined. By volume, it contains more water than all the other Great Lakes combined. It is third only to Lake Baikal and Lake Tanganyika in terms of the largest freshwater lake in world by volume. At its deepest point, Lake Superior is 1,300 feet. 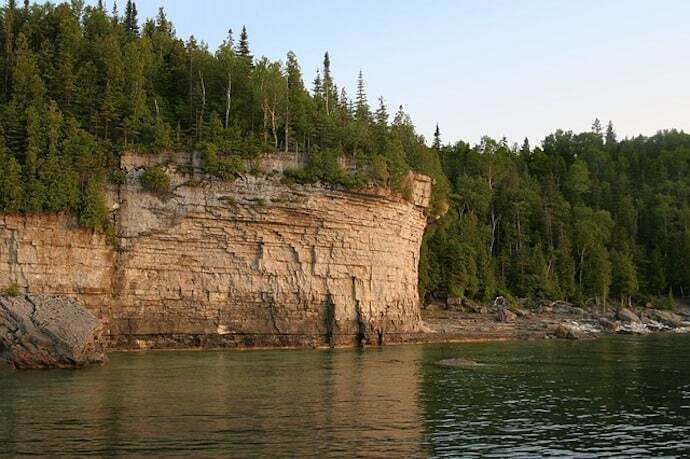 It’s around 350 miles long and 160 wide, with over 400 islands in it (including Isle Royal National Park) and 300 streams and rivers feeding into it. 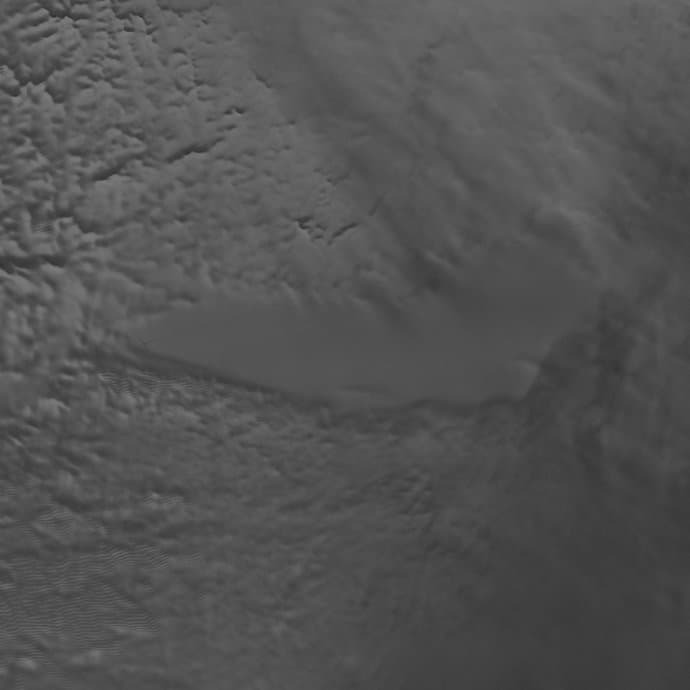 Though its mammoth size may suggest otherwise, Lake Superior is actually rather young. Geologically speaking, it’s a babe of just 10,000 years, formed by the last glacial retreat. It has both the thickest and thinnest section of the earth’s crust in the entirety of North America. And some of the world’s oldest rocks (around 2.7 billion years old) are found on its shores. It’s also an amazing spot for flora and fauna. Lake Superior’s basin has 58 different species of orchids, which is second only to Florida in all of North America. It also has giant sturgeon, massive pike, and 86 other species of fish. Migrating birds of prey hunt along its shores annually, with thousands passing through daily during peak parts of the year. The debate as to whether Lake Superior is the largest freshwater lake in the world hinges on a technicality. Lake Huron and Lake Michigan are counted as a single mutant version of the two great lakes referred to as Lake Michigan-Huron. Together, they measure over 45,000 square miles. The argument is built on the fact that these two lakes are connected by the Straights of Mackinac. The connection keeps the water levels of the lakes about the same and deems them one continuous body of water. Thus, some people like to consider them one lake, with a relatively shallow (120 feet) and narrow (5 miles or less) connecting section. 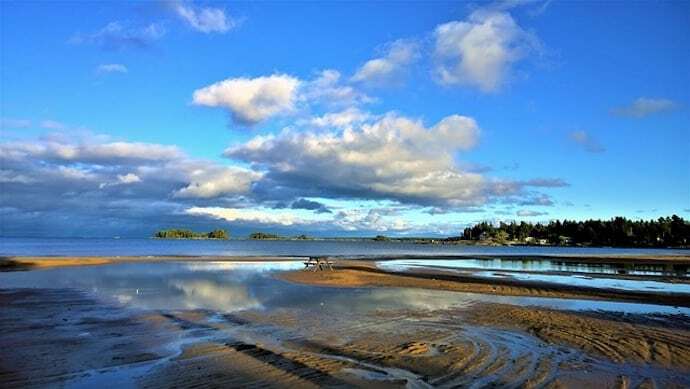 In the more widely accepted scale of things, Lake Huron is still the fourth largest lake in the world at approximately 23,000 square miles, while Lake Michigan is the fifth largest at around 22,000 square miles. Due to the Caspian Sea being a saltwater lake, they rank as the third and fourth largest freshwater lakes, behind Superior and Victoria. 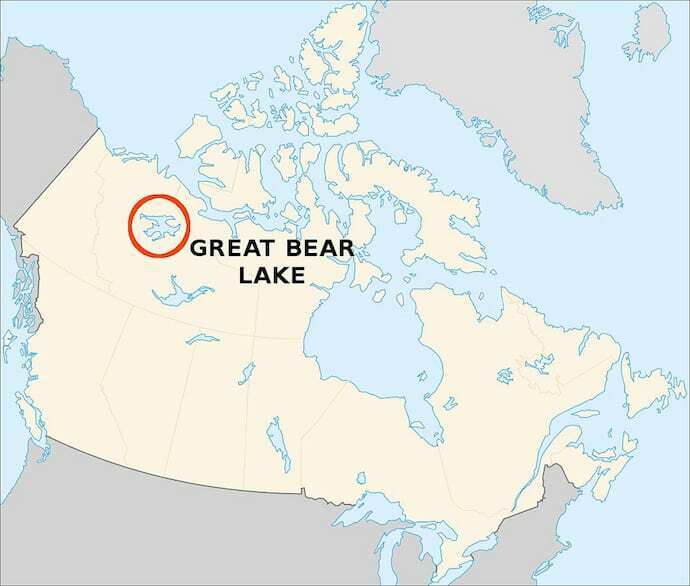 In Canada, the biggest lake completely within its borders is known as Great Bear Lake. It is the eighth largest in the world, measuring in at over 12,000 square miles and reaching nearly 1,500 feet deep. The Great Bear Lake is located in the country’s remote Northwest Territories, where the human population thins out significantly. Part of it actually lies above the Arctic Circle. The lake consists of five separate arms– Dease, McTavish, McVicar, Keith, and Smith. It is fed by the Dease, Camsell, and Johnny Hoe Rivers, and flows into the Great Bear River. Due to its climatic conditions and lack of nutrients, the lake supports very little life, whether fish nor plant. It only has 16 different species of fish– the least of any lake in Canada. Of those, some are unique to their respective arms of the lake, as they don’t migrate around the Great Bear. That being said, the area surrounding the Great Bear Lake has historical importance to indigenous people. It has long been a favorite hunting ground for caribou and muskoxen. The fast-moving drainage into the Great Bear River prevents the lake from freezing, making it a great year-round fishing spot. All Canadians also have a stake in the lake’s preservation because it is one of the earliest locations for a game of hockey in the country. 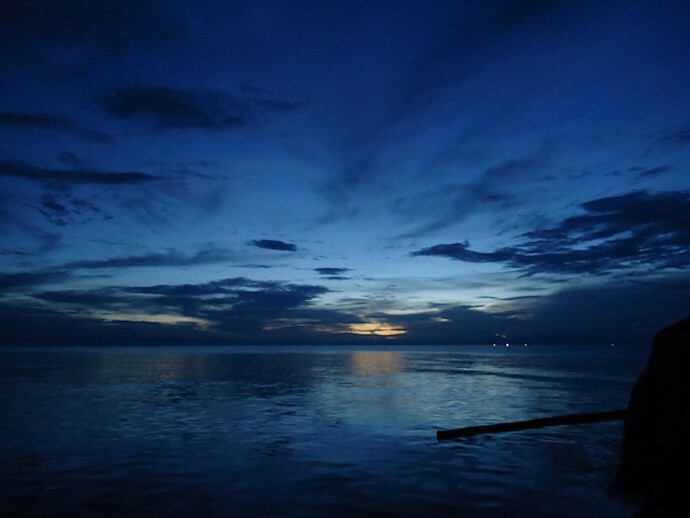 Lake Nicaragua has several superlatives attached to it. It’s the largest lake in Central America, the second largest in Latin America, and the 19th largest in the world. It spreads over 3,000 square miles, runs 100 miles long, but never gets down to 100 feet deep. Believed to have once been a bay attached to the Pacific Ocean, Lake Nicaragua may have been created by volcanic eruptions sectioning it off from the sea. Now it has a curious collection of animals, including freshwater sharks, which may have been trapped by the lava flow. 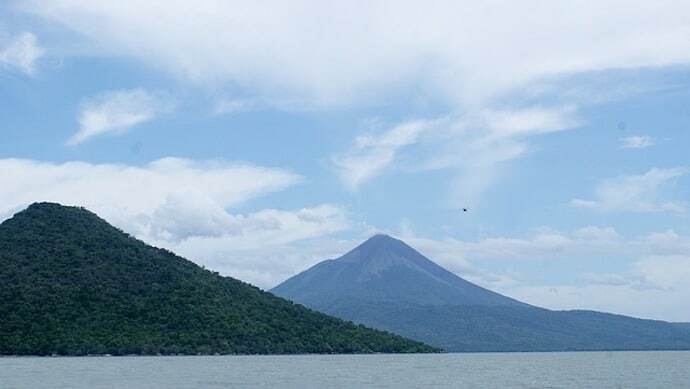 There are around 350 islands in the lake, with Isla de Ometepe arguably the most famous. The island was created by two volcanoes, Maderas and Conception, the latter of which is still active. Ometepe is a beloved spot for ecotourism, with plenty of hiking, climbing, biking, and kayaking on offer, as well as first-class vistas. Lake Nicaragua has gotten a lot of press lately because, in conjunction with the San Juan River, it is part of a passageway possibly being built between the Atlantic and Pacific. This would compete with the Panama Canal, allowing ships to go from one ocean to the other without circumnavigating the Americas. Located on the border between Bolivia and Peru, over two miles above sea level, Lake Titicaca is the largest freshwater lake in South America. Its surface area is over 3,200 square miles. Its longest section measures just under 120 miles, and the widest part is about 50 miles. At its deepest, the lake starts flirting with 1000 feet (922 to be exact). But Lake Titicaca is much more than sheer size. It is considered a sacred part of Inca culture. They believed that their entire civilization began at the lake, and that Manco Capac (the first king of the Incas) was born from the sun god at Titicaca. Its shorelines and islands are still packed with indigenous settlements, ancient ruins, and native folklore. 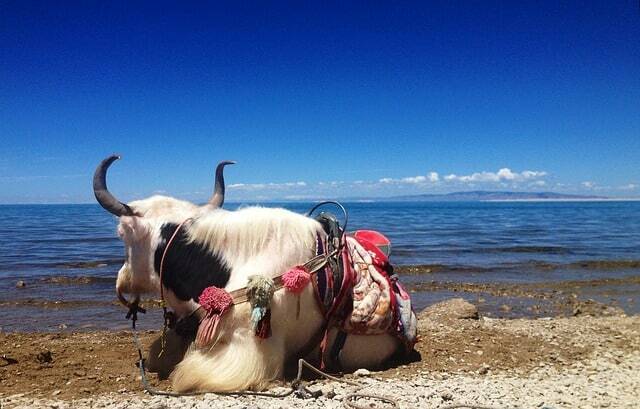 Additionally, Lake Titicaca is a tremendously special place for animals. Nearly 90% of the fish found in the lake are endemic, and there are over 500 different aquatic species. There are several endangered species, such as the Titicaca water frog and the Titicaca grebe, that are more or less restricted to the lake. There are also two dozen species of snails. Titicaca is also recognized as the highest commercially navigable lake. It has a number of US-made (as well as European) steamships on it that are still in operation in some form or fashion. 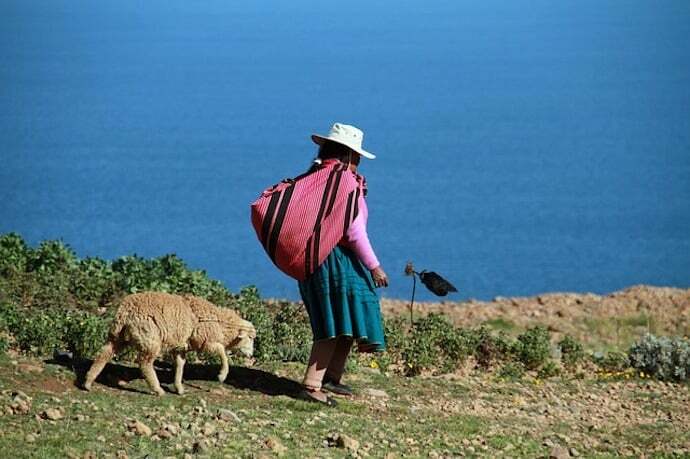 Lake Titicaca competes with Lake Maracaibo of Venezuela for the honor of largest lake in South America. In terms of sheer size, the competition is decided easily, as Maracaibo is nearly 2,000 square miles larger than Titicaca. 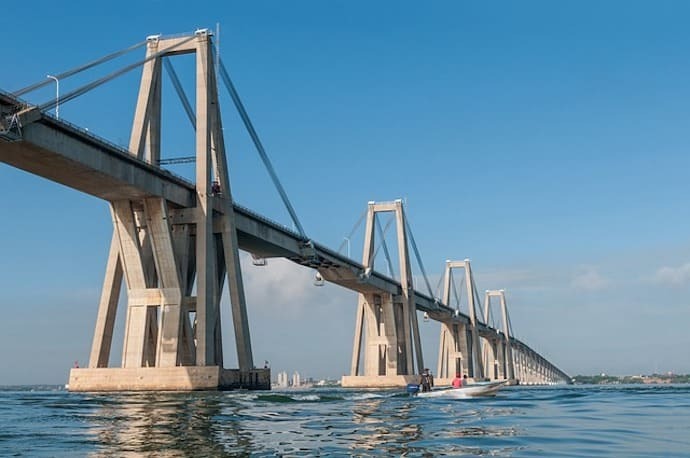 However, some people consider Maracaibo, which is a brackish body of water, to be a bay rather than a lake because much of its water comes from the sea tides. That said, the lake is fed by rivers, the most significant of which is the Catatumbo, which is integral to transporting goods from further inland. Due to the rivers, much of the southern portion of the lake is freshwater, with the salinity rising as it nears the sea. It actually took a significant amount of dredging and engineering to make the mouth of the lake passable for ships. Nowadays, the lake is best known for its large petroleum reserves. Maracaibo’s basin provides about 65% of the country’s oil. The oil wells were originally developed by foreign companies, particularly the US, Britain, and Netherlands. But the industry was nationalized in the 1970s. The Venezuelan oil industry has since become infamously controversial.